Saturday, January 6 8:30 a.m.
Join Wild South for a trail maintenance day on the Pinhoti Trail in the Dugger Mountain Wilderness! No experience necessary. 9 miles of the Pinhoti Trail goes through Dugger and it needs to be brushed out in numerous spots. Please be prepared by bringing the following, we will supply everything else. Daypack with lunch, snacks, water, work gloves. We will provide tools, safety vests and helmets. Alabama Winter weather is unpredictable. Be prepared. Dress in layers. Bring rain gear. 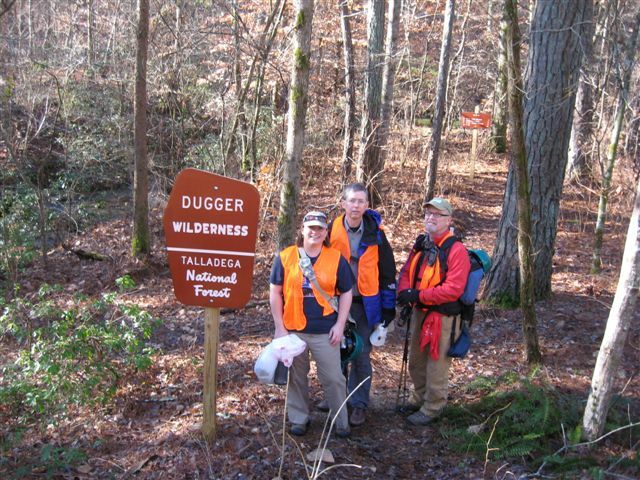 Difficulty of terrain is rated moderate to difficult due to moderate to steep grades and we plan to cover as much of the trail as possible. Depending on the turn out, we may send a group around to come in from the north. We will assemble at the Burns trailhead on Rabbittown Road at 8:30 a.m. We will be done by 4 p.m. Please sign up by emailing Kim Waites at kim@wildsouth.org Please include a phone number!